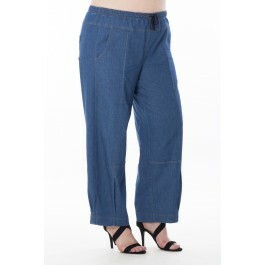 Loose fit denim broek Benson met elastiek in de taille. Kleine plooien in het voorpand. Broek Benson heeft voor- en achterzakken. Gemaakt van hoog-stretch soepel denim, sterk en zacht. Het is comfortabel om te dragen. Exelle is a Dutch designer brand known for its stylish ladies fashion in larger sizes for more than 30 years. When you choose for Exelle clothing, you’re always going to be up-to-date with the latest fashion trends. Our highest priority is to make you feel comfortable in our garments while at the same time accentuating your beautiful curvy figure in all the right places. We aim to maximize your comfort and always offer you an excellent fit. We consistently choose materials and designs in the highest quality. Every woman will surely be inspired and find something that fits her perfectly. 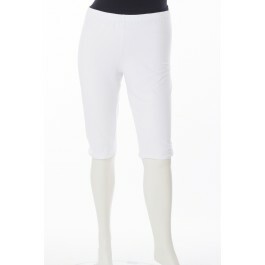 Exelle, high-quality women’s clothing in sizes 38 to 62.